We talk exclusively to composer Nick Hooper about his two ‘Potter’ scores. Part two of our exclusive interview with Wizarding World graphic designers MinaLima. Part one of our exclusive interview with Wizarding World graphic designers MinaLima. We countdown the 10 rarest Funko Pop! characters and where you can find them. We look at some of the most amazing Harry Potter book covers from around the world. We take a look at the places and creatures we might find in ‘Fantastic Beasts 3’. We rank our top 5 songs from the Harry Potter soundtracks. Artist Jim Kay talks to us about designing the Harry Potter illustrated editions. We report from the 2015 MISTI-Con Harry Potter conference. Information about the upcoming Harry Potter spinoff film trilogy. Send in your articles, editorials and reviews and we’ll publish them here. Harry Potter Fan Zone reports from the Ascendio 2012 conference in Florida. Tom Felton (Draco Malfoy) and Rupert Grint (Ron Weasley) tell us about some of their most memorable Harry Potter experiences. We participate in a conversation with composer Alexandre Desplat about his score for Harry Potter and the Deathly Hallows: Part 1. Harry Potter Fan Zone talks the music of Harry Potter with producers David Heyman and David Barron and director David Yates. 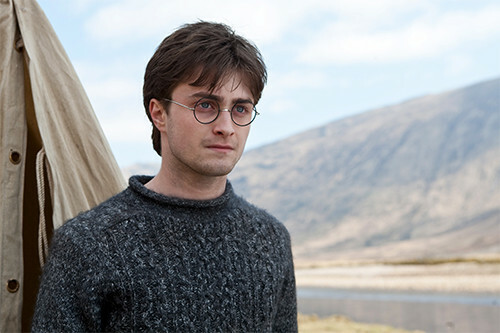 We talk to Harry Potter himself, actor Dan Radcliffe, about Harry Potter and the Deathly Hallows. An exclusive interview with Andy Linden, the actor playing Mundungus Fletcher in Harry Potter and the Deathly Hallows. Our set report detailing an exclusive visit to Leavesden Studios, the film set where Harry Potter and the Deathly Hallows was shot. A short second teaser for our report detailing an exclusive visit to Leavesden Studios, the film set where Harry Potter and the Half-Blood Prince was shot. A short teaser for our report detailing an exclusive visit to Leavesden Studios, the film set where Harry Potter and the Half-Blood Prince was shot. A report from an advance screening of Harry Potter and the Order of the Phoenix in early 2007. An open letter (with answers – thanks Jo!) to Harry Potter author J.K. Rowling. A feature article on Harry Potter Fan Zone’s webmaster, Andy McCray, published on the front-page of The Canberra Times in early 2007. An interview with Tiffany Moon, a piano and voice instructor who recently finished writing part one of what she plans to be a seven-part opera cycle based on J.K. Rowling’s Harry Potter series. An interview with James Walters, Sirius Black in the Harry Potter and the Order of the Phoenix Marauder scene. An editorial by Nichola Weall. The staff here at Harry Potter Fan Zone believe this was one of the editorials J.K. Rowling mentioned on her official website as being “waaaay too revealing”. A summary report of the Harry Potter and the Goblet of Fire premiere at the Ziegfeld Theatre in New York City on 12 November 2005 and other premiere week festivities. A report detailing the enormous fan site run release party for Harry Potter and the Half-Blood Prince held in Chicago on 15 July 2005. An interview with Jamie Waylett, Vincent Crabbe in the Harry Potter films. A summary report of the Harry Potter and the Prisoner of Azkaban world premiere at Radio City Music Hall in New York City on 23 May 2004.